When I was a kid there were three seasons; hunting, fishing and making stuff. As a kid I knew that when trout season ended on the last Saturday of September bird hunting season and then deer hunting were just around the corner. About the end of January when the snow got too deep to chase rabbits the third season began, the crafting season. The crafting season lasts about three months; it’s the time of year when one fights off the cold, dark days of winter by “holing up” in the shop and making things. Today making things in my shop usually means working on a split bamboo fly rod, a pastime which can be as rewarding as tossing a fly or flushing a grouse. As a split bamboo rod maker I am often asked; “How difficult is it to make a cane rod?” My usual response, sort of tongue in cheek, is that “the most difficult part of rod making is putting the guides on!” After the shock wears off I explain that with a little research, practice and patience (lots of patience) the average person, kids too, can make their own split bamboo fly rod. Like fly tying, leader construction, and net building, rod making is a wonderful way to survive the winter doldrums. Rather than dread winter I look forward to the crafting season and time spent making a split bamboo fly rod. Prior to the 1970s bamboo rod making was difficult to learn due to a lack of information on the subject. Magic and mystique were the norm and how-to books were few and far between. That all changed when Garrison and Carmichael and a fellow by the name of George Barnes wrote books about how to make a split bamboo rod. The Master’s Guide by Garrison and Carmichael (which many artisans call the Rod Maker’s Bible) along with How to Make Bamboo Fly Rods (updated edition, Fly Rods Galore) by George Barnes opened the door to rod making. 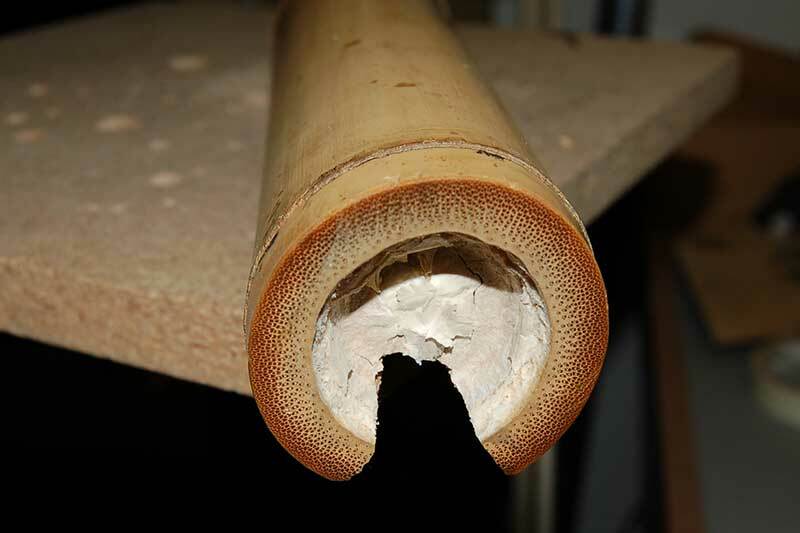 What was once shrouded in mystery is now common knowledge to hundreds of amateur cane rod makers. Since the late 1970s many more books on the subject have been written and a search of the World Wide Web will bring more information and instruction than one can easily digest. My point is that if you want to learn how to make a cane fly rod the information is readily available to the modern craftsman. 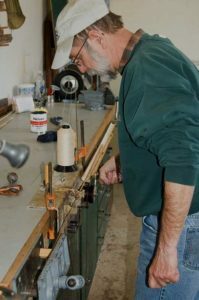 If you want to learn how to make a cane fly rod: do your research, locate a mentor (there are many) and/or take a rod making class. Someone once said to me, “it takes a thousand dollars to make your first cane rod and your second one costs about a hundred bucks.” A thousand dollars seems like a lot of money to get started in a new hobby but I know a lot of fly tiers who quickly burn up that much cash when they meet Renzetti, Metz and Fly Tyer magazine. 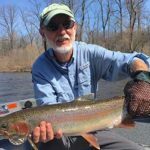 When tooling up to make a split bamboo fly rod one can write the check for a thousand dollars worth of equipment or invest an equal amount of time and energy in sweat equity. In other words make your own rod making tools. 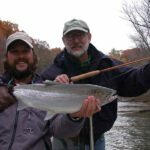 If you can overcome the need for instant gratification you can save a lot of money by making your own tools and George Barnes’ 2nd book, Fly Rods Galore, will show you how. If your goal is to make a rod or two each winter then keep things simple; do your research, make your own tools and enjoy another part of the angling tradition. At first, learning to make a split bamboo fly rod can be overwhelming but like eating an elephant you do it one bite at a time. Your first consideration should be acquiring the metal form used to hand plane the tapered strips used to make a rod. 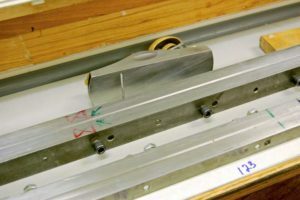 The best planing forms cost around a thousand dollars but others are available for a more affordable four hundred and work fine for the occasional rod maker. Used planing forms can also be found on the internet or have a local machinist make one for you. If you have the time you can even make your own planing forms out of hardwood or aluminum. Again check out plans on the internet or in one of the current books on split bamboo rod making. The second item you’ll need is a good block plane outfitted with a modern Hock blade. You will also need a sharpening system which can be as simple as a selection of wet/dry sand paper and a flat surface, (check the Hock Blades website for some super sharpening tips). In order to make a cane rod one must learn to hone a plane blade to surgical tolerances. Done properly you should be able to shave with it! This step along with plane adjustment and proper planing techniques are paramount in achieving the accuracy needed to make bamboo splines uniform and accurate. Once the aspiring rod maker begins to work with bamboo he or she goes from the research stage to actual practice, lots of practice! The home hobbyist will also need a modest assortment of: files, knives, scrapers, sandpaper, cotton thread and waterproof adhesives, all of which are reasonably priced and readily available. Inventory does not make a fine split bamboo fly rod. Skill, practice and patience are some of what’s needed to put you on the stream with your own split bamboo fly rod. In preparation for a rod making school I was conducting I thought it wise to list the procedures involved in cane rod making. After identifying over 100 steps I realized a basic outline would be more useful and much less intimidating. To make some sense of the rod making process here is a basic outline: Cane Selection, Initial Splitting, Node Staggering, Straightening and Flattening Nodes, Rough Planing, Pre-Beveling, Heat Treating, Taper Selection, Setting the Forms, Planing the Taper, Gluing, Sanding and Spline Identification, Ferruling, Grip Installation, Varnishing and Guide Installation, Proud smiles and satisfaction. 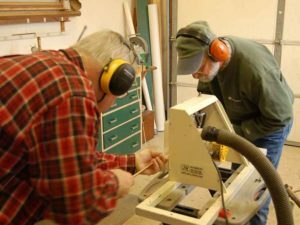 Most rod making schools accomplish these steps over 5-6 days but the average guy, with a little assistance, can complete a rod in a few evenings each week over a three month period. Remember; eat the elephant one bite at a time. 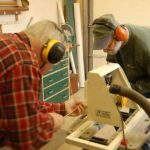 Another option to keep equipment costs down, besides making your rod making forms, roughing jigs, binder etc, is to share the cost with a friend. Better yet, start a rod making group. I’ve been getting together every Thursday evening for the past 10 winters with 4 or 5 other like minded fellows to make rods and share stories. It’s rewarding watching a new “caniac” learn the rod maker’s craft, especially witnessing the smiles when a new rod gets its first wiggle! To wrap this up I’d like to say that if you can tie a #20 blue wing olive and cast it 45 feet on a fine tippet you can probably make a pretty good cane rod. 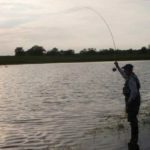 Making your own split bamboo fly rod adds some frosting to your angling cake and extends your sport into the crafting season. 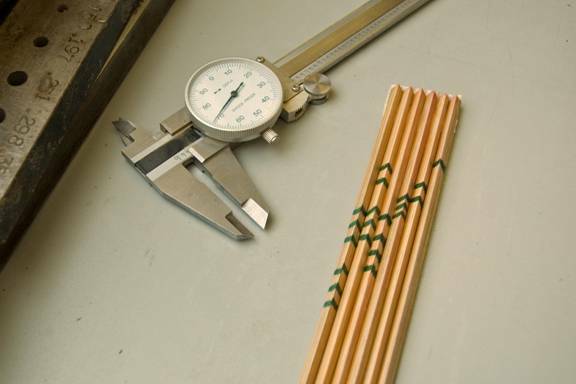 To find out more about sources of tools and materials needed for cane rod making check out the internet or request a sample copy of The Planing Form Newsletter. The Planing Form Newsletter links amateur and professional rod makers and is available from Alder Creek Publishing PO Box 365, Hastings Michigan 49058. There are also competent instructors offering week long rod making schools and classes. 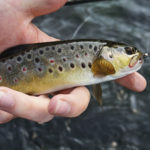 I strongly recommend the following: Catskills Fly Fishing Center and Museum, J.D. Wagner Rods, Golden Witch Technologies, The Bellinger Company, Corens Rod and Reel and the annual bamboo rod making school offered each year at the FFF Conclave. All of these rod making schools offer well presented, solid information and instruction for those wishing to learn the split cane rod maker’s craft. So why wait? Quit stalling and get started this year making a split bamboo fly rod.